The court vetted and selected 12 jurors and five alternates during the past week. 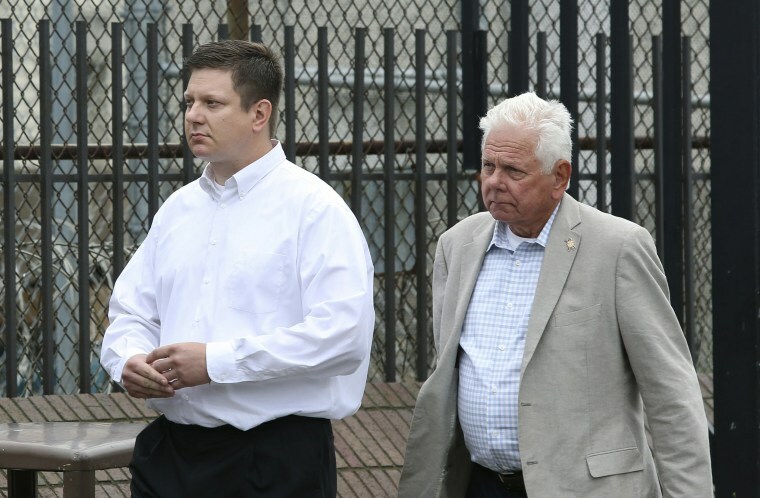 CHICAGO — Attorneys for a white Chicago police officer charged with murder in the 2014 fatal shooting of black teenager Laquan McDonald announced Friday that they will stick with jurors selected over recent days for the trial rather than have a judge decide the case. Judge Vincent Gaughan had set a Friday deadline for Jason Van Dyke to say whether he wanted to switch to a bench trial in which the judge would have decided the officer's fate. Opening statements are planned for Monday, though the judge still must decide on a defense request to move the trial outside of Cook County, where Chicago is located. Video shows Van Dyke shooting McDonald 16 times as the teen seems to be walking away from police with a knife in his hand. It will be one of the centerpieces at the trial. Police footage can be seen here. Jury selection wrapped up much more quickly than expected, with question of prospects taking just three days. The 12-person jury is made up of seven whites, three Hispanics, one African-American and one Asian-American. Attorneys also picked five alternates. Most of the prospective jurors said they had seen the police video of the shooting. Some jurors who were excused said they could not be impartial after what they had seen on the video. The release of the video in November 2015 sparked large protests, the ouster of the police superintendent and demands for police reform. Even those who were picked for the panel expressed concern, with the last male juror saying that he thought the officer had "gone too far" when he shot the 17-year-old.